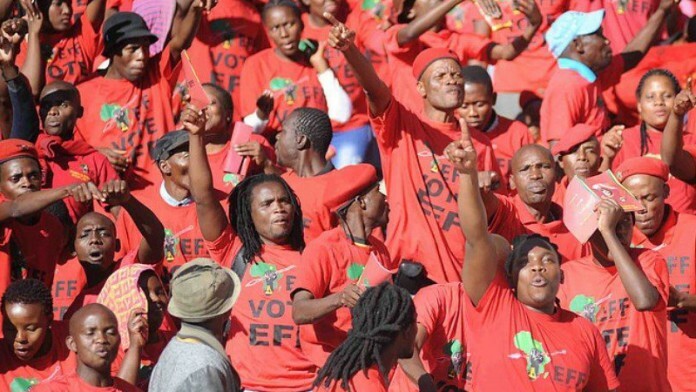 THE Economic Freedom Fighters (EFF) has thrown its political weight behind Eskom saying that coal supplier, Exxaro Resources, should be black-controlled before supplying coal to the power utility. This followed a controversial statement this week on Twitter by Matshela Koko, interim boss of Eskom, who said Exxaro had effectively shown the utility “the finger” by failing to comply with its wishes on black economic empowerment (BEE). Mdlozi added, however‚ that the party believed: “… that 51% black ownership must be awarded to workers and not BEE schemes that benefit few individuals”. Koko tweeted that Exxaro had decided “… to show Eskom a finger instead of radically transforming and has no decency to even engage on this matter”, said BusinessLive. He also tweeted that “radical economic transformation was dealt a heavy blow by Exxaro” and that the company had insulted Eskom. Eskom, the company to whom Exxaro sells the majority of its coal production, said it would not recognise Exxaro as a fully empowered company as its new empowerment structure sees 30% of its shares black-owned whereas previously it was 53% owned and controlled. Exxaro has argued that it was too expensive to re-empower itself back to the 50% plus one share level.